Are you tired of the thieves guild's repetitive, low-paying jobs? Well, throw away your lockpicks and sneaky boots! Now you can pursue an alternate career in crime. 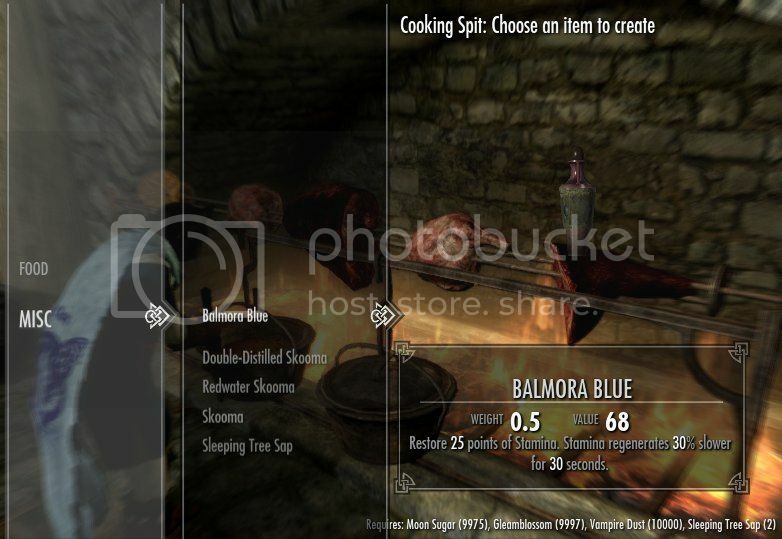 You can make and sell three kinds of skooma, sleeping tree sap, and balmora blue. mods to the public. For more info on her mod permissions, click here. Are you tired of the thieves guild's repetitive, low-paying jobs? Well, throw away your lockpicks and sneaky boots! Now you can pursue an alternate career in crime. 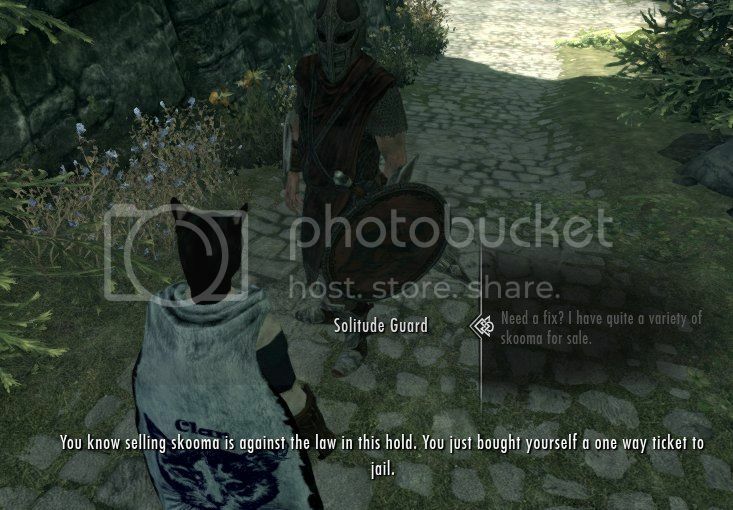 Make your own illegal substances and peddle them across Skyrim. *Double-Distilled Skooma and Balmora Blue require alchemy perks to become craftable. You will have to find out which kind of skooma each client wants. This may seem like trial and error at the beginning, but you will get the hang of it. With every sale you make, you earn a small increase in your speechcraft skill. Those dumb enough to sell to a guard are sent directly to jail. This may not happen in all holds, but it definitely happens in the larger holds. *Sometimes there is a bug where you are stuck in Cidna Mine, the jail in Markarth. To serve your time enter the console code "servetime" without quotes. Bella, now in her teens, has been introduced to Skooma by a fellow Khajiit named Lu'ki the Unfortunate. 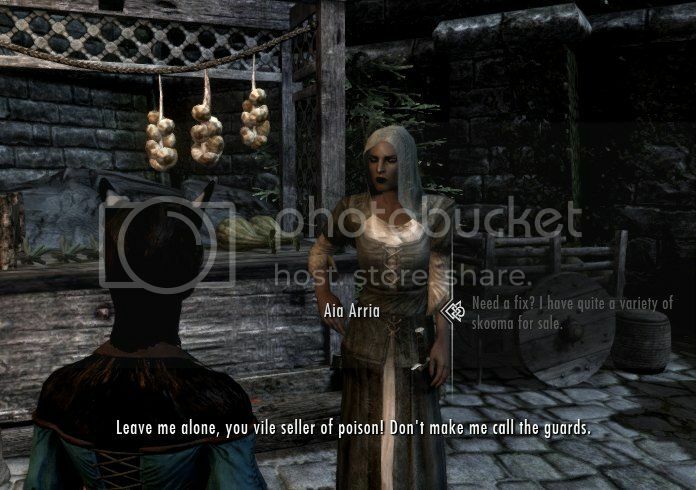 (Soon to be featured in my next mod, Winterhold rebuilt) Although Bella isn't that fond of the substance herself, she asked Lu'ki how does one become a skooma dealer. Lu'ki told her how to boil it up in a cooking pot and which ingredients make the different types of skooma. After meeting with her friend Lu'ki, Bella heads to the nearest cooking pot. "if I can do this right, I'll never have to beg again. ", Bella thinks to herself. Bella couldn't believe how easy it was to make this stuff. Even though the ingredients were a little expensive, Bella believes that she will be able to make enough money to buy a home of her own. That was her wish ever since she was sent to Honorhall. 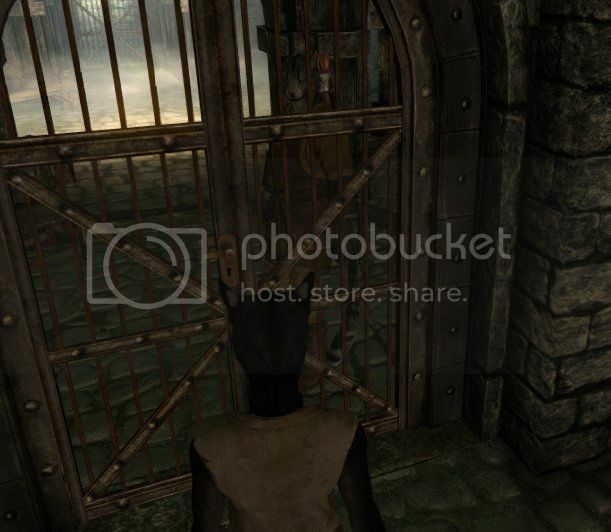 With a bottle of every kind in her pockets, Bella boards the carriage to Solitude to try her luck at Skooma dealing. Once there, she spots a lady wearing peasant clothes lurking around the market stalls. Bella walked up to her, and recited the line that Lu'ki had taught her. "Need a fix? ", Bella said in a hushed tone. The woman turned towards Bella with a hateful look on her face. Dejected, Bella made her way to the inn. She spotted a man wearing fancy clothes sitting at a table with his friend. Bella whispered her line in his ear. 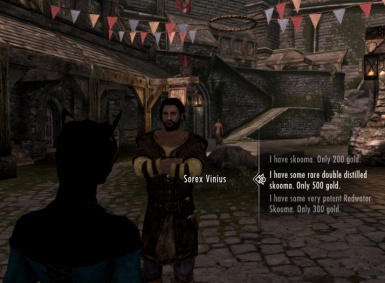 He referred to her Skooma as "swill" and asked if she had any balmora blue. Bella was happy she had made a batch of balmora blue yesterday. The man acted surprised that Bella had something so rare. He happily forked over his money, and Bella gave him the vial. "1000 gold! I'm so much closer to buying my own home. ", Bella thought as she quickly stashed the money away. The next day, things took a turn for the worse. She had sold most of her skooma to people around town and was getting desperate to sell the whole lot. She then saw some kids playing tag. "I know this isn't right, but I really want my own home. ", Bella thought to herself as she asked one of the girls if she needed a fix. Bella couldn't believe her ears. Kids in Solitude were so sophisticated. They even knew what skooma was. Bella was just about to make her way to the stables to catch the carriage to Markarth when she saw a lone guard standing around. "I have nothing to lose, I guess. 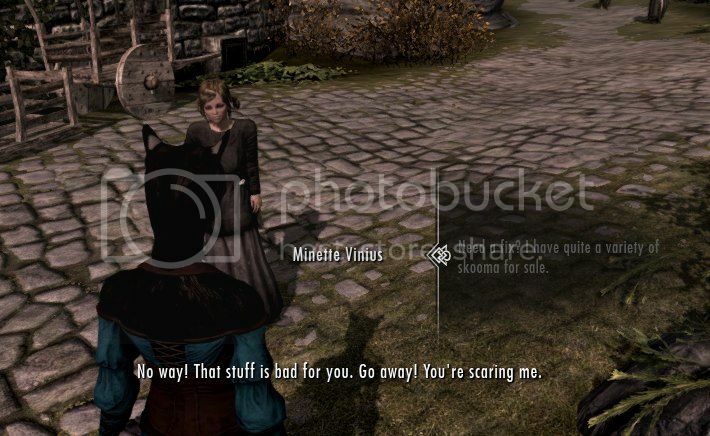 ", Bella thought as she asked the guard if he wanted some skooma. "I was so wrong! ", Bella thought to herself as the guard confiscated all of Bella's belongings and threw her in jail. "I guess you have to learn from your own mistakes. ", Bella said as she looked through the bars of her cell door. "If I get out of here, I'll never sell skooma again." Bella awoke to the sound of someone saying her name over and over. When she looked up, she spied Lu'ki on the outside of the barred door to her cell. "Khajiit just paid your fine, Bella. You are free to go. ", Lu'ki said with a smile on his face. "This one also took the liberty of getting all of your stuff back." Bella thanked Lu'ki for her new found freedom, and swore that this time around she would do things differently. Thanks to Teah, Saiodin, and Dannytj2 for their suggestions to improve this mod. Extract contents of the zip file into skyrim special edition's data folder. *This mod is not voice acted, so make sure to turn subtitles on. Get rare skooma ingredients from mills. Go to any grain mill (not including windmills) and make those rare and hard to come by skooma ingredients.